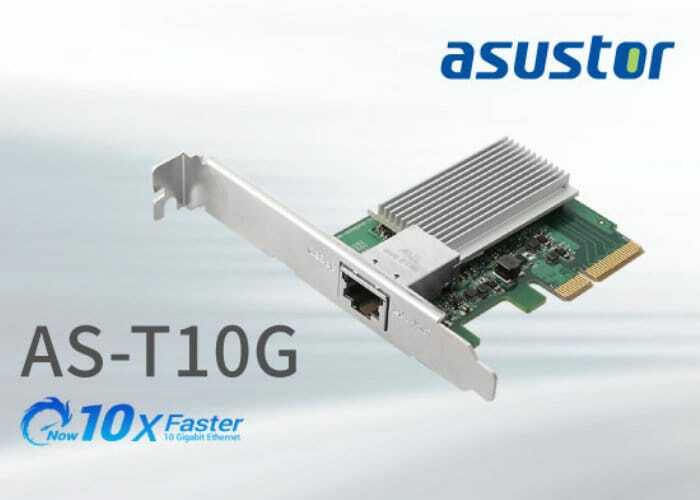 If you have been patiently waiting for the release of the long-awaited ASUSTOR 10 Gigabit ethernet expansion card, you’ll be pleased to know that it is now available supporting 10GbE speeds and is backwards compatible with 5GbE, 2.5GbE, 1GbE and 100MbE speeds and is equipped with a single RJ-45 port. The Ethernet expansion card supports Windows, Linux, Mac OS and VMware ESXi 5.1 and above, Microsoft Hyper-V, Linux KVM, Oracle VirtualBox. For more details jump over to the official ASUSTOR website by following the link below.